A two-player game about cooperation and conflict. 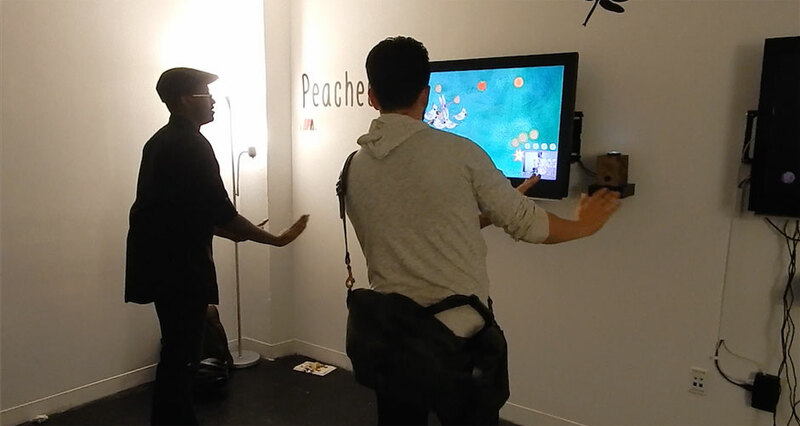 Peaches is a two-player video game. 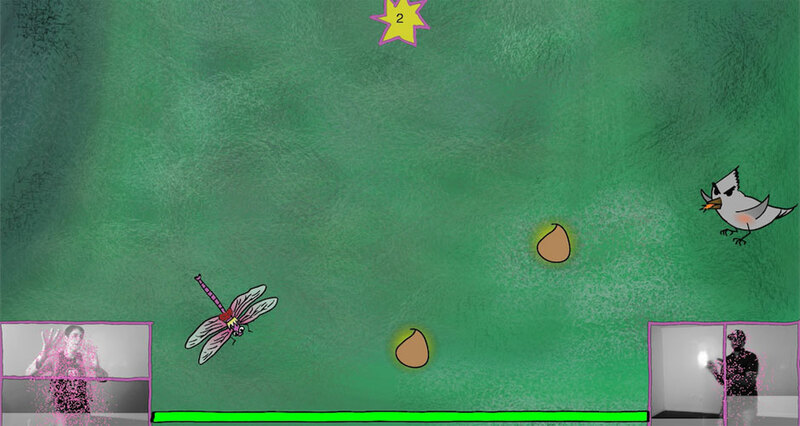 Set in a fairytale context, both players must control one magical dragonfly. 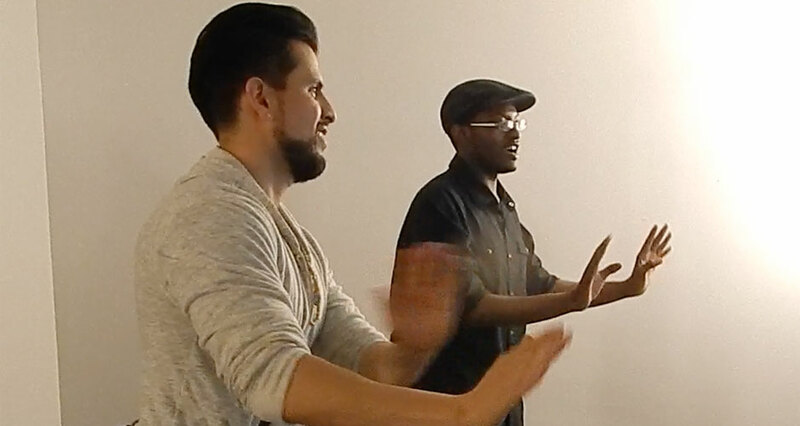 They must wave their hands frantically and work together to achieve their goals. But as the game progresses, their goals diverge. The players must figure out between themselves how they will end the game. Jennifer graduated from the MFA program in Design and Technology at Parsons earlier this month (woo!). She enjoys making light, humorous things that people interact with or that make people interact with each other. She enjoys making people — often myself — look silly. Before going to Parsons, Jennifer practiced as a corporate attorney in New York for several years. Pretty strange, huh?